Under now-President Recep Tayyip Erdogan, Turkey is funding Hamas, helping Iran evade sanctions, and harboring a financier tied to the 9/11 attacks. Is that how a “NATO ally” behaves? Speaking at conference of Islamic scholars in Istanbul in August, senior Hamas leader-in-exile Saleh al-Arouri announced that his terrorist group had carried out the kidnapping and killing of three Israeli teens in the West Bank in June. The group had vociferously denied its involvement in the attack at the time, and the Israeli arrest of several Hamas operatives contributed to the tensions that ultimately yielded this summer’s Gaza war. 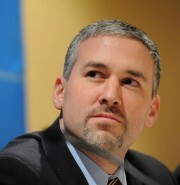 Some even claimed that an unwarranted Israeli crackdown on Hamas directly prompted this most recent round of violence. But as the war neared its end, Arouri came clean. He described the triple murder as a “heroic operation” carried out by Hamas operatives with the broader goal of sparking a new Palestinian uprising. That this announcement should come out of Turkey was rather fitting. The Turks, along with the Qataris, had been playing the role of the spoilers throughout the Gaza conflict. Ankara and Doha insisted that any end-of-conflict agreement should bring the Hamas regime out of isolation. As the Turks and the Qataris held their ground, and Hamas refused to negotiate terms other than those endorsed by their patrons, one ceasefire initiative after another failed. Ultimately, however, neither the Turks nor the Qataris could alter Hamas’s fate. Egypt and Israel, the two countries that share a border with Gaza, ensured that the conflict returned to the status quo ante through the long-term ceasefire agreement signed in late August. But Turkey’s support for Hamas remains strong. Just how strong? We don’t know. 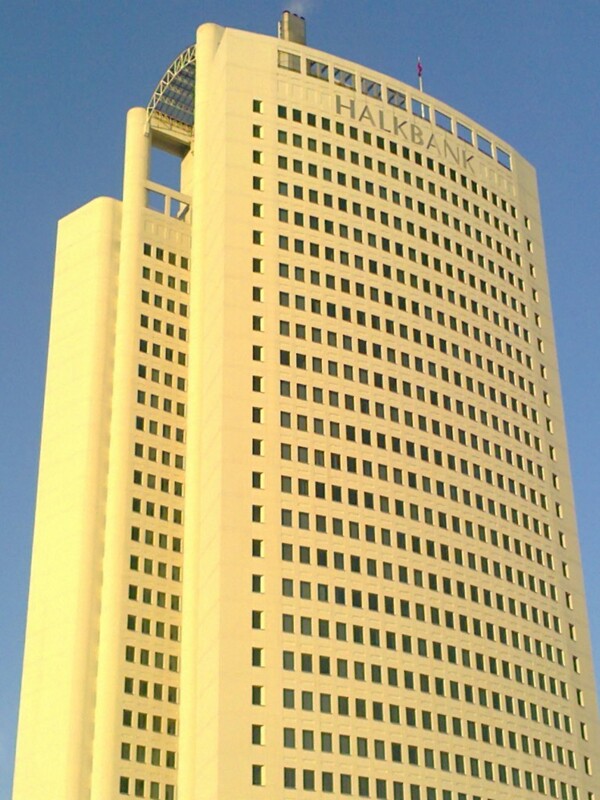 In December 2011, Palestinian news sources reported that Turkish President Recep Tayyip Erdoğan “instructed the Ministry of Finance to allocate $300 million to be sent to Hamas’ government in Gaza.” Both Turkey and Hamas denied this, but Reuters and Haaretz published subsequent reports citing this number. Even if these reports turn out to be false, Turkey has not been shy about the other financial and material support it provides to the Hamas government in Gaza. Turkey has provided funds for schools, hospitals, mosques, and other supplies to the Hamas regime in Gaza, with additional funds that helped Hamas rebuild after its November 2012 war with Israel. More is expected after this most recent conflict. Then there is the presence of the aforementioned Saleh al-Arouri. The Israeli news website Ynet reported last year that Arouri “operates out of Turkey, with the backing of the Turkish government.” While Arouri’s activities are generally below the radar, it is believed that he is raising funds for Hamas. Last year, the Israel Security Agency (Shabak) announced the arrest of two Palestinians involved in smuggling money for Hamas from Jordan to the West Bank. During their interrogation, the suspects ceded that some of the money was being smuggled on behalf of Arouri. Arouri is also believed to be in charge of Hamas’ operations in the West Bank. In January, a senior Israeli military official confirmed this when he told Israel Hayom that Hamas’ recent West Bank operations are “directed from Gaza via Turkey.” More recently, in August, the Israelis announced that Arouri was at the center of a plot to bring down the Palestinian Authority government of Mahmoud Abbas in the West Bank. Arouri recruited the leader of the operation, according to reports. 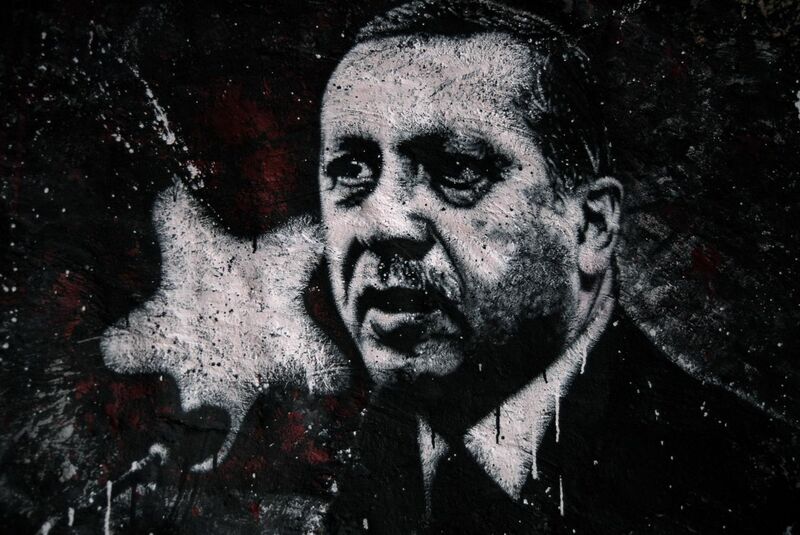 Despite all of this, or perhaps because of it, Arouri is held in high regard in Turkey. In March 2012, for example, he was part of a Hamas delegation that took part in talks with Turkish officials, including then-prime minister Recep Tayyip Erdoğan. The following October, Arouri joined Hamas politburo chief Khaled Meshaal for a high-level meeting with Erdoğan in Ankara. Arouri is not the only Hamas figure in Turkey. In 2011, Israel released 10 Hamas operatives to Turkey as part of the prisoner exchange deal with Hamas that secured the release of kidnapped Israel Defense Forces soldier Gilad Shalit. Among the Hamas figures believed to have gone to Turkey include Mahmoud Attoun and Taysir Suleiman. Both were sentenced to life terms in Israeli prison for murder. Both men today appear on television and lecture about the merits of Hamas in Turkey and around the Arab world. To be clear, there is nothing explicitly illegal about Turkey’s hospitality to Hamas. Indeed, Hamas is not designated as a terrorist organization in Turkey. Nor is it designated at the UN (the terrorism list includes entities tied to al-Qaeda and the Taliban). So, Turkey is legally within its rights to back the group. However, it is decidedly awkward for a NATO ally to be so outwardly supportive of Hamas in light of the group’s grisly record of violence against civilian targets since its inception in 1987. The sale of gold was technically legal because the gold was going to individuals, not the government of Iran. And trade with individuals was not, at the time, in violation of sanctions. But it was undeniable that the Turks were violating the spirit of the sanctions regime. Once the scheme was discovered, 47 members of Congress demanded an explanation from Secretary of State John Kerry and Secretary of the Treasury Jack Lew. Washington adopted new legislation in January 2013 that imposed a blanket prohibition on all gold sales to Iran, but it did not take effect immediately; sanctions only became effective six months later, on July 1, 2013. In this way, the White House granted Turkey and Iran additional months of trade. According to a report by the Foundation for Defense of Democracies and Roubini Global Economics, “Iran’s golden loophole” allowed Iran to receive over $13 billion before gas-for-gold slowed to a trickle. As Today’s Zaman reported, Erdoğan was aware of the “suspicious relationships between some Turkish ministers and Reza Zarrab” almost a year earlier. Yet, Erdoğan defended Zarrab as the probe unfolded. There were dozens of other blatant financial crimes alleged in the report. And as a result, Iranian banks appear to have accumulated untold sums in hard currency. 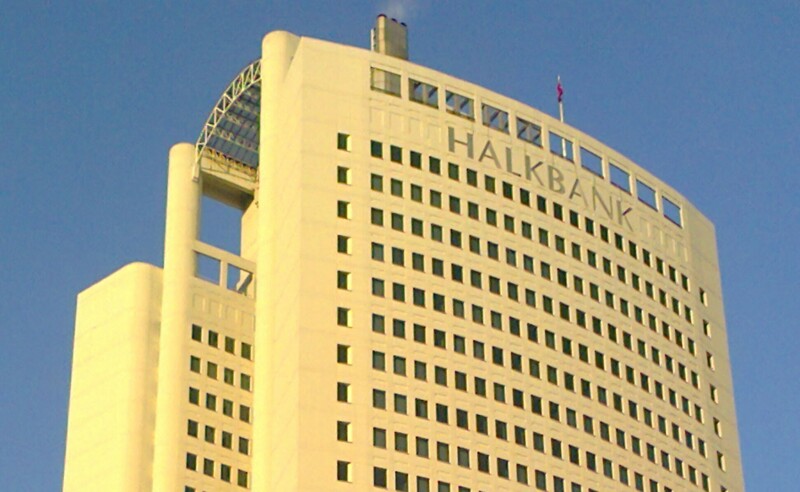 The bank transactions receipts in the prosecutor’s report include assurances that the “goods and services are not related to EUR Reg 423/2007 and 428/2009”—the European legislation restricting authorized exports to Iran. The funds eventually made their way to the handful of Iranian banks—including Karafarin, Pasargad, Parsian, Saman, and others—that were not banned from the SWIFT electronic transfer settlement platform in 2012. When the corruption scandal broke in December 2013, al-Qadi was in the eye of the storm. Turkish media reports indicated that he was wanted by prosecutors. According to media reports, al-Qadi illegally entered Turkey at least four times between February 2012 and October 2012 without a visa or passport. 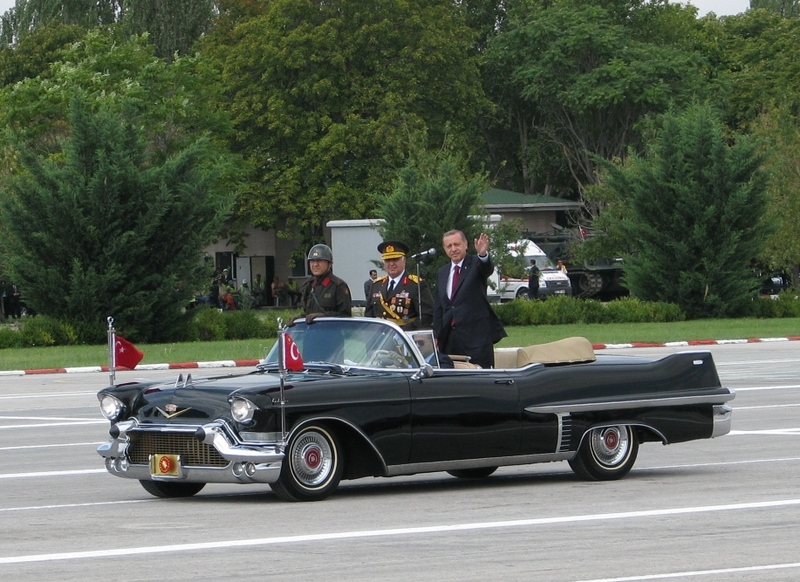 Despite a cabinet decision banning al-Qadi from entering Turkey, Erdoğan’s protective detail allegedly escorted him during his time in the country. 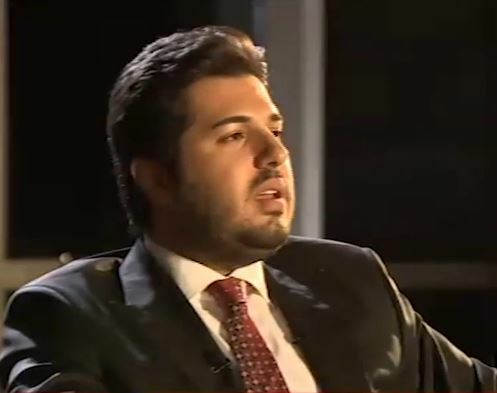 During these visits, al-Qadi reportedly attended meetings with the leadership of various companies. 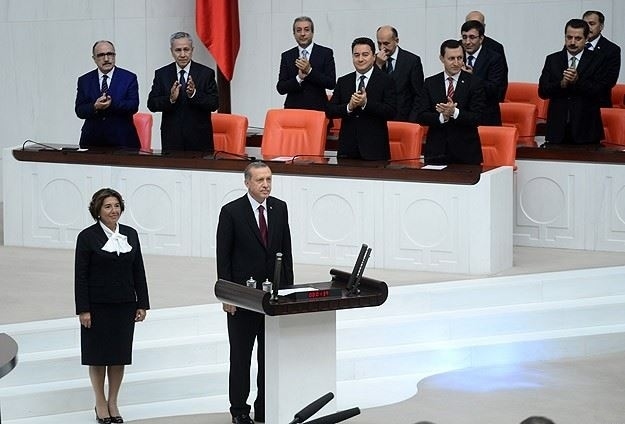 It remains unclear what kind of financial or political relationship al-Qadi may have with the AKP government in Turkey today. 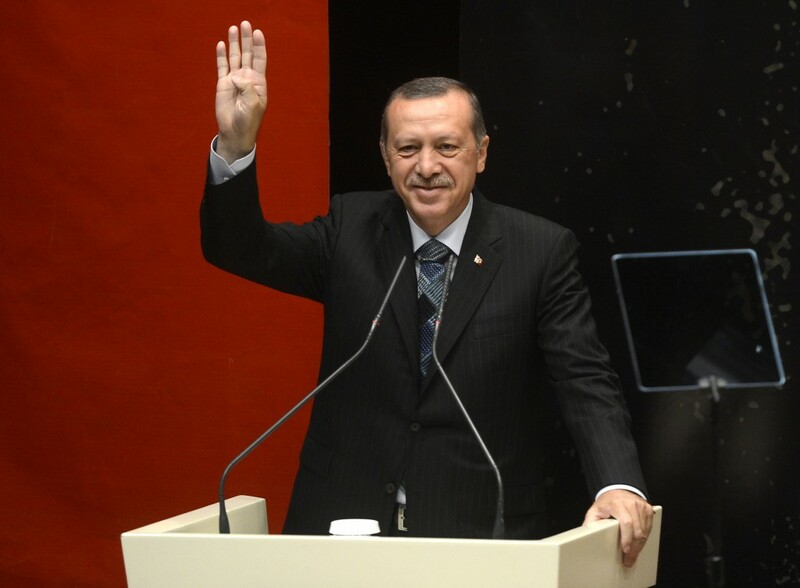 Erdoğan has denied these allegations and vowed to prevent aid from flowing to jihadists in Syria. But media and law-enforcement reports contradict his statements. “The relative accessibility of the Syrian-Turkish border explains why so many jihadists have made their way to Syria,” the Wall Street Journal reported in June, citing Europol. To be sure, some of this mess may be a direct result of Washington’s inconsistent Syria policies. At first, Washington and Ankara appeared unified in their commitment to removing Syria’s Bashar al-Assad from power after the Syrian civil war erupted in 2011. But when President Barack Obama declined to make good on threats of intervention after Syria again crossed his “red line” by using chemical weapons on the town of Ghouta in August 2013, Ankara and Washington appeared to be on a collision course. Tensions rose further after it became clear that Washington had been engaged for months in secret dialogue with Iran; questions arose as to whether the decision not to intervene in Syria was an American concession to firm up those nascent diplomatic ties. Turkey has since appeared to embrace a policy of allowing a broad spectrum of anti-Assad forces, including those with radical ideologies, to use Turkish territory. 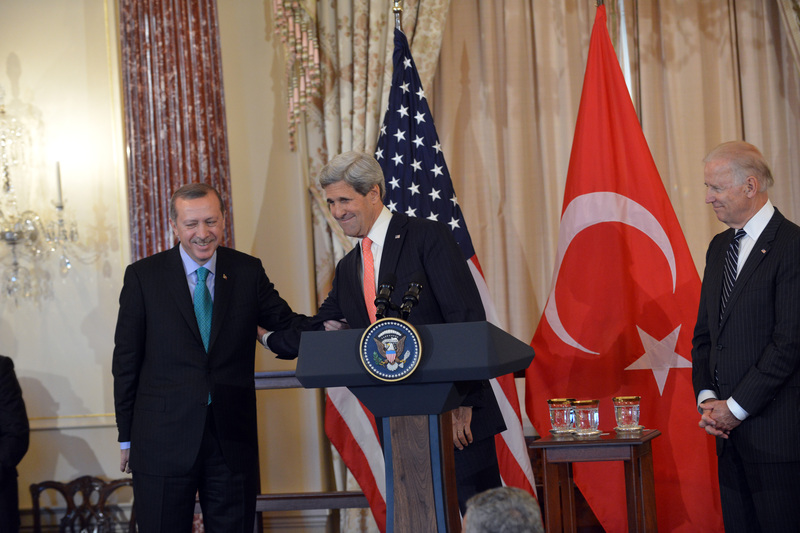 One might argue that this is Turkey’s only means to weaken Assad without U.S. assistance. But whether or not Washington bears indirect responsibility is not the point. Turkey has very clearly become a safe haven for illicit actors to conduct their business. And its laws for deterring such activity are woefully insufficient. This was made abundantly clear in February 2013, when Ankara was nearly blacklisted by the international body dedicated to combatting terrorism finance, the Financial Action Task Force (FATF). Ankara was first notified of its deficiencies in 2007, when a FATF team alerted the Turks that, after a “mutual evaluation,” it had not adequately criminalized terrorism finance in the country. Nor had Turkey done enough to put in place infrastructure that could help identify and freeze terrorist assets. The expectation was that Turkey would move quickly to redress the situation. However, Turkey did little for five years. This ultimately led the FATF to issue a blacklist warning on October 19, 2012. Such a listing would have landed Turkey on a rogues list with North Korea and Iran, thereby significantly weakening its financial standing worldwide. Unfortunately, it does not appear that Turkey will redress these problems any time soon. With Erdoğan’s ascent to presidency, and with his former foreign minister, Ahmet Davutoğlu, taking over as prime minister, the architects of Turkey’s dangerous foreign policies have consolidated power. This means that Turkey is more than likely to continue to drift from the Western orbit, and to resemble some of the more dangerous actors in the Middle East. With a White House that appears disinclined to challenge its wayward NATO ally, it is unclear if there are other actors on the world stage with the will to challenge Turkey’s dangerous drift. Indeed, it is likely that Turkey will continue to serve as a hub for illicit actors for the foreseeable future.